Though you could just go to the store and get yourself a glass of fresh juice, it has been argued that the nutritional value for bought fresh juices are strikingly less than what you would get from homemade ones. Besides why spend on juices on a regular basis when you could just own the best masticating juicers to satisfy and enrich your healthy diet whilst at the comfort of your home? Unlike centrifugal juicers heating up your contents, masticating juicers work on the principle of mastication. Instead of simply pressing or spinning fruits and vegetables to release the juice, masticating juicers grind the ingredients to extract the highest level of nutrients possible; even from dense fruits and vegetables, for instance, celery. Thus, due to their resourcefulness, extreme health-conscious people consider it to be their ideal tool of choice. What Are The Advantages of Using the Best Masticating Juicers? 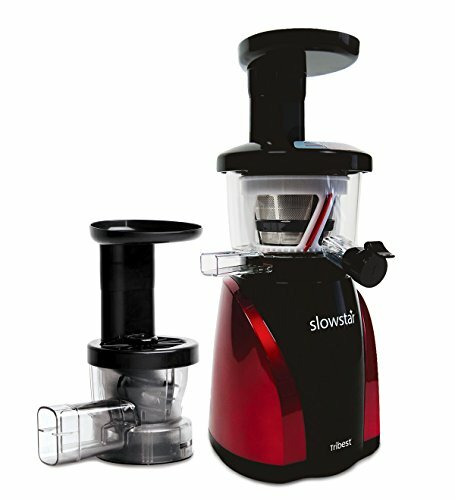 Whilst living up to all the criteria of the best masticating juicers such as the top quality low-speed motor, minimal oxidation, wide chute, flexibility, it also provides the most generous, varied customer satisfaction; two months trial period, two years attachments warranty and ten years motor warranty! Due to the impression that only the best appliances come with good warranty schemes, it’s no surprise it’s one of the highest recommended juicers by users. 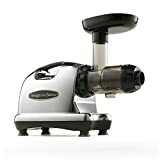 With attachments included to satisfy each item of your nutritious diet, the extreme versatility is what makes this omega masticating juicer so incredibly special and popular among juicers –it efficiently crushes both hard and soft fruits and vegetables, prepares homemade spaghetti and breadsticks, frozen desserts, baby food, nut butter and even grinds coffee! Q: What would you be juicing? – Most masticating juicer features a typical on-off switch that lets you focus on one category of items, for instance, soft fruit. However, some are more flexible and allow speed control so you have the option to switch from citrus-based drinks to leafy greens. Some masticating juicers also allow processing of baby food and pasta. Q: Do you want it for commercial purposes or household? – Commercial masticating juicers are usually heavier and can produce 15-20 glasses of well-made juice at one go; it is mostly suitable for rough use. Conversely, household juicers are lighter and you can expect 5-7 glasses at a time. Q: Is it easy to clean? – As juicing itself is a messy business, the quality of the juice highly depends on how well the juicer is maintained. The best juicers come with attachments that are detergent friendly or include “automatic cleaning” where gears move in the opposite direction to unclog leftover pulp. Q: What’s your budget? – Although fulfilling the same primary purpose of extracting juice, juicers range from prices as little as $40 to as high as $1500. It is important to remember though that quality and features of juicers are highly depended on the price paid for it. Q: Are there additional attachments? – Are they easy to assemble and disassemble? Q: What’s the oxidation number? – This is a helpful indicator that tells you how long the juice will remain fresh; the greater the number, the higher the shelf life. Q: Does it offer a warranty? – Electronics are quite an expensive purchase and are very likely to malfunction/break down; having warranty will then save further expenditure. Moreover, only the best brands are confident enough to offer the warranty. Q: What brand is it? –Purchasing from well-reputed manufacturers will decrease the chance of you making a wrong decision. Some famous masticating juicer brands include – omega masticating juicer and Breville masticating juicer and. Q: Vertical or horizontal? 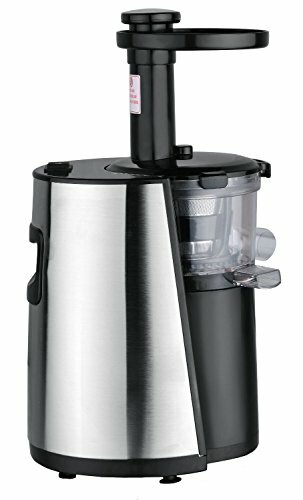 – For vertical juicers, since the auger is on top, it takes up less space on the counter. On the contrary, horizontal juicers are slightly easier to clean because of smaller auger and screen and assembly is a tad bit easier although it’s not space efficient. Yields more juice – You are able to get 20%-35% more juice than what centrifugal juicer offers which is eventually very economical in the long run. Slow processor and reduced heat production preserve most nutrients – While getting less oxidized juice, you’ll also get juice richer in nutrients, enzymes, minerals, and vitamins. 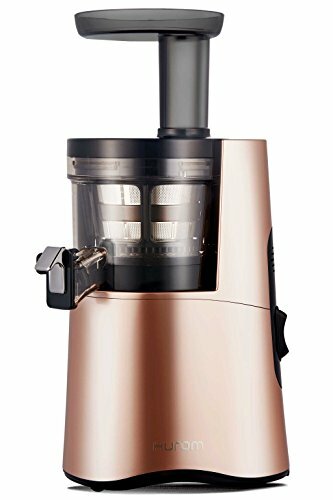 Works well with leafy greens and hard vegetables – Unlike regular juicers, the best masticating juicer effortlessly grinds leafy greens and hard vegetables just as well as soft fruits. Versatile – Some masticating juicers come with several attachments that let you produce a variety kind of items, for instance, baby food, ice cream, frozen desserts, pasta, homogenized milk, and breadsticks; definitely more value for the money you pay. 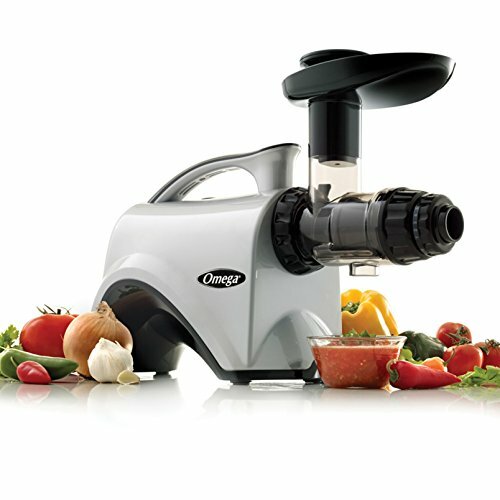 Durable – Built with good quality stainless steel, most masticating juicers lasts for a relatively long period of time. Longer shelf life – Juices are well made thus with proper storage in the fridge, it is possible for it to stay fresh for up to 24 hours, if not more. Easy to clean – Although it could be time-consuming, there are fewer parts and they are designed to be easily cleaned. Juices have less foam – Compared to centrifugal juicers, masticating juicer provides juices with much less foaming. 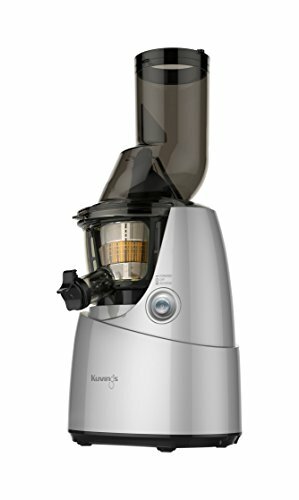 It can be seen that compared to centrifugal juicers, masticating juicers successfully preserve the health benefits of juices through innovative and improved technology whilst also providing you with other varied services to increase the flexibility of use; eliminating the need to purchase other appliances to meet those needs. If you’re working to upgrade your current juicer or new to juicing and stuck in a debate of masticating juicer vs cold press juicer vs centrifugal juicer – here is a detailed review on 10 best masticating juicers to show you why masticating juicer is superior to the rest. This vertical masticating juicer offers some of the fundamental features that make masticating juicer greater than centrifugal juicers. While the juicer fulfills your health concerns, you are also offered the maximum satisfaction through a generous warranty scheme. Compared to typical juicers that process with a speed of 1650-15000rpm, this low-speed juicer works at only 80rpm thus with minimal oxidation, it preserves maximum nutrients and enzymes; maintaining the ultimate natural taste. The stylish and modern design of this juicer is certain to complement the décor of your kitchen. With a low speed of 47rpm, this cold press juice extractor reduces oxidation and provides a shelf life of 72 hours. 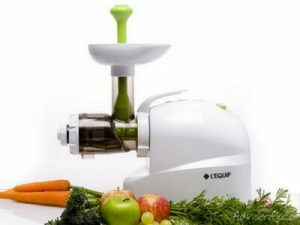 It’s another multi-functional juicer that features higher torque, BPA free parts, mincing attachments and a double-edged blade auger. Another omega masticating juicer that promises effective health and fitness benefits. Whilst competently squeezing out the last drop of juice from the produce, it features variable speeds to provide you the opportunity to broaden your options. 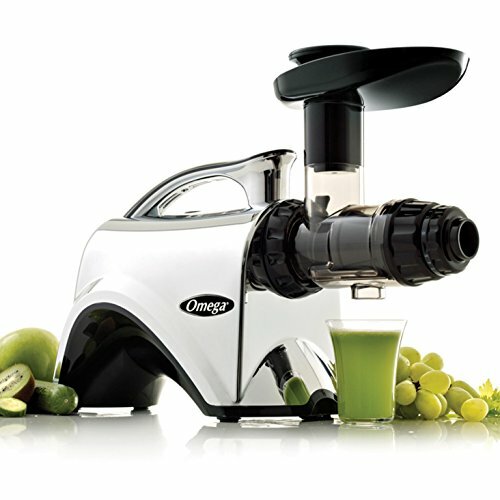 This omega juicer comes with a dual stage system that extracts more from produce. Not only does it come with a cleaning brush, it also includes a reverse gear in case of clogging; so cleaning feels like a breeze. Established in 1974, Hurom has since then created a reputed name in the juice industry through quality service and this juicer stands no different. Hurom Slow Masticating Juicer promises maximum release of the deep-seated nutrients and enzymes, resulting in a vivid, richer-colored juice that retains more vitamins and minerals. 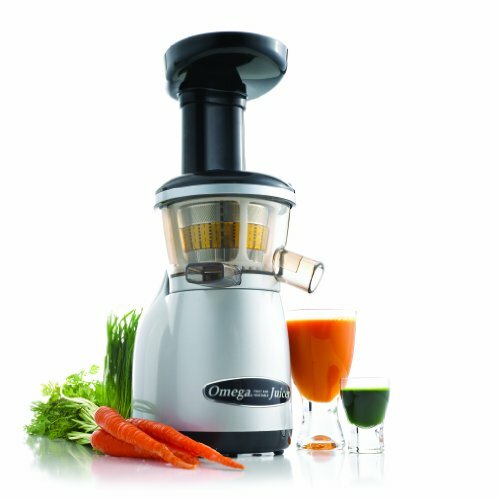 With a slow processing speed of 43rpm, Omega VERT Slow Juicer VSJ843QS creates minimal heat production and oxidation promoting healthy enzymes and longer lasting juices. It is also relatively new compared to older omega models and has been engineered with innovative and improved functions. Ideally built for heavy duty household usage, this 6th generation omega masticating juicer comes with an enhanced, sophisticated design that is built in impeccable quality. This is a juicer that gets the work done. Unlike typical juicers, this juicer features a wide chute that is spacious enough to fit a whole apple without chopping it into pieces; particularly designed for those who want to spare as much time as possible. With a unique JMCS technology, it is said to preserve 100% natural taste. According to the manufacturer, Chef’s Star Slow Masticating Juicer promises whisper quite operation and a powerful electric motor. Although the most convenient feature would be the automatic pulp-ejection. The reviews of the 10 best masticating juicers are certain to assist you; examining why these are the best will allow you to determine the ultimate masticating juicer that is ideal for your needs. Although high priced, these juicers eventually benefit you in the long run asit produces the maximum juice from produce. A personal favorite would be the Omega J8006 Nutrition Center Juicer. 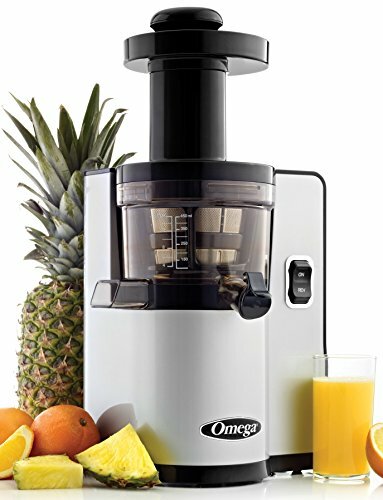 Omega has been producing high-quality juicers for over 30 years so their appliances are some of the highest rated ones. This is a classic juicer among extreme health enthusiasts for its versatility and ability to flawlessly juice both hard and soft ingredients. Its efficiency and reliability is what makes it a favorite amongst its users.